Vision Boards - powerful business tool or pointless hokum? So, are Vision Boards a magical tool of manifestation, or a waste of time? I sit somewhere in the middle on this one. I think creative visualisation can be extremely powerful, when combined with practical action. Athletes often cite visualising winning that Gold Medal, but they also put in hours of training. On our Masterplan programme, we spend time doing two exercises that I see as intertwined. The first is a creative exercise of creating a clear picture of a ‘perfect working day’ and the second is a deeply logical financial forecast. There’s purpose in both, and I think they play best together. Today, I’ll give you my rundown on the practical uses for a Vision Board, I’ll follow-up with the forecasting piece. Essentially, it’s a way of capturing a clear picture of your future goals. Different people do this in different ways. You can create a written narrative, that’s a bit like a short story that walks through a full day or week in your future life. More popular is by actually, or digitally, cutting and sticking pictures into a kind of collage. Doing it with paper and scissors adds a level of tangibility to the exercise, and accesses part of your childlike creative mind that may not have been used for a while. Personally, I like to do a mix of these things. I’m a writer, so a written day works well for me. I then like to find images that capture this for me. I’ll tend to do this in themes, e.g. vitality, family time, etc. You can then put this somewhere where you see it most days. I’ve known people set it as their screen saver or desktop wallpaper, or simply stick it up above their desk. If you’re creatively minded, this might sound like fun. If not, it can sound like a nonsensical waste of time. So, let’s explore the eight reasons why I think this is a good use of time, and practical ways of using this for your business. When you’ve painted a clear picture in your mind of the life you love, your body will respond with all the right happy hormones. I’m not a neuroscientist, so I’ll leave talk of the Reticular Activating System to someone more knowledgeable. Suffice to say, that feeling good about what your building is important to tapping into the energy you’ll need to get there. I won’t be the first to say that having the right team in a business is critical to its success. Your vision has a really practical use here. I would encourage you to get all your key people to create a Vision Board to present to you all and talk you through it. This can be really important for knowing how to work with, and motivate, them. It can also highlight when you want totally different things… which is better to know now, right?! One of the things I’ve found most powerful about creating a vision, is that it kicks my selective attention into action. That is, I notice things in my life that are part of that vision. This means I can grateful for them and take a moment to enjoy life more. I had a lovely call from one of our licensees last year. He had just had a morning round of golf with a networking group, where he’d picked up an excellent lead. He then jumped into his car on the way to have lunch with his daughter. As he was on his way, he realised he was experiencing something very close to the perfect day he’d pictured. He pulled over, breathed it in, and called me to tell me. When you have a clear vision, you have an excellent motivation tool for yourself and your team. It should kick start your energy. But, it can also be used to re-start your engine on a low day, or keep you motivated over time. A really practical way that we do this is with a ‘Happy List’. On a Friday, I run through the themes of my vision and bullet point out anything in that week that shows that I’m living or moving towards my vision. In a group session with some of our Masterplanners recently, someone suggested an excellent extension of this idea… a Happy Memory Jar. You may have seen this as a family idea, but it can be used for your team too. Every team member can pop a note on a piece of paper that captures a moment on or towards vision and pop it in a jar… then take them out an read them at the Christmas party to thank everyone for their part in the success of that year. You could even use this as a recruitment tool. 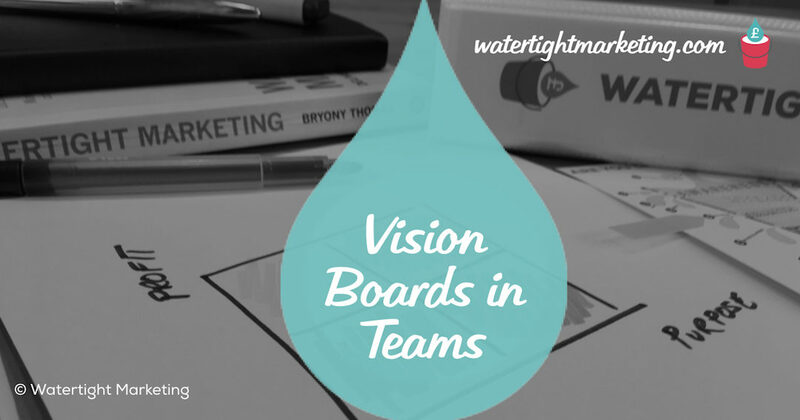 If you’re recruiting for a key leadership role, why not ask them to create and present a vision board to you. This will definitely help you to understand then, and know if the role will genuinely give them the life and work they’re looking for. As well as being motivating, your vision can also hold you accountable and support tough decisions. If you’re finding a decision hard, run it by your vision to see if it’s taking you closer or further way. 8) Create a bring forward list! The last, but perhaps most important, is that your vision can help you bring forward the joy in your life. We live in a bit of a ‘later’ culture… where we put off joy for when we’ve done this, that or the other. A vision board can help you see things that you could do right now to make life more enjoyable. For everything on there, ask… can I do this now? Right then… having written this, I’m now off to update my boards for 2018. But, only after I’ve been home to sit down and have lunch with my husband… because I can do that now! Bryony Thomas is the creator of the multi-award winning Watertight Marketing methodology, captured in her best-selling book of the same name. 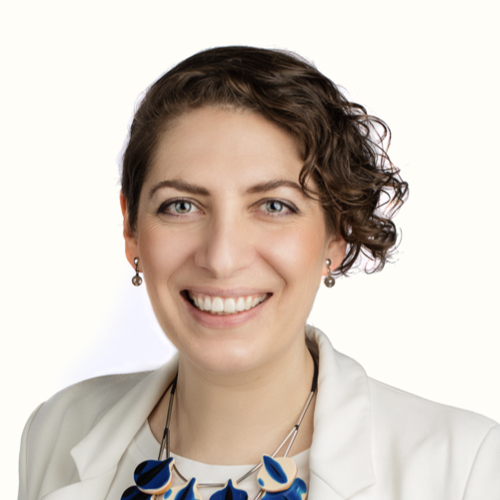 She is one of the UK's foremost marketing thinkers, featured by the likes of Forbes, The Guardian, Business Insider and many more, and in-demand speaker for business conferences, in-house sales days and high-level Board strategy days.